There are various tips and ideas online based on the truth of diabetes. In fact, diabetes is already an overused point of discussions; however, the health problem still persists in the country especially among the older demographic. You might ask, why does this happen? We can explain two major points of departure as to why diabetes persists prevalently—aging and lifestyle. These factors are the dominating umbrellas that greatly impact our health. However, aging is inevitable while lifestyle can be controlled. Yes, aging can cause debilitating effects such as muscle density loss, body fluid loss, and much more but its effects can be reduced and even reversed. Bradford Place, a dependable assisted living facility in Benchmark Court Swansea IL, believes that if you would know more about the possible effects of health conditions, then you might think over on conditioning and changing your lifestyle to a healthier angle. Today, we will focus on diabetes since managing the disease can be more difficult as you enter the 60s. Aging can slowly deteriorate the body but it is often slow especially if the person has a healthy lifestyle. Bad lifestyle habits, on the contrary, can speed up the debilitating effects of aging and can often result in serious health conditions. You have to know that you can do something about it. You can do something to prevent diabetes from happening. Here are the top problems you can face with diabetes when aging. Diabetes can cause several eye problems such as cataracts and diabetic retinopathy. With diabetes, your body cannot control the blood sugars that overcome it. It results in vision loss because of the damage it causes to the blood vessels in your eyes. With aging and diabetes, one can experience severe vision loss since it is more difficult to control the glucose levels of older people if the person does not stay active and eat healthy foods to control the intake of sugars in the body. Then, vision loss can lead to difficulties in reading directions, numbers, medication labels, and so on which makes daily activities more challenging for elder people. Diabetes.org reports a recent study finding that people with diabetes often experience hearing loss twice severe and more common than those who do not have the disease. This is because people with diabetes have about 30% higher blood glucose and more than 86 million adults in the U.S. have been diagnosed with prediabetes. As aforementioned earlier, the glucose excess can destroy and damage different small blood vessels that could impede different physiological processes. 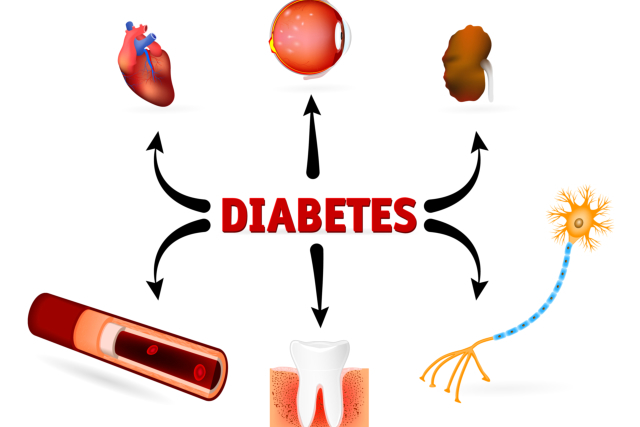 In this case, diabetes causes disruptions in the regular carries and transports of blood through the blood vessels to and fro all the parts of the body. One major condition that is also affected is one’s hearing loss. Seniors may want to consult their doctors if their hearing loss could be affected by this underlying condition. More blood glucose leads to lesser bodily fluids and the lesser body fluids can lead to muscle density loss and joint pains. This is often the cause of motor skill difficulties especially among older people who are already struggling with different kinds of loss. The older you get, the higher your nutritional requirements become. This is why elders must take water and calcium every day to support the bodily processes that have been slowing down due to aging. This becomes highly imperative for older people with diabetes. Diabetes and aging somehow consumes the healthy fluids that help in the production of hormones and other processes to function properly. Without the right fluids and ingredients, one may have a problems with balance and coordination. In terms of medication, everything else becomes a domino effect. Vision loss could make it difficult for elders to take the right medications. This could also lead to accidental poisoning. Hearing loss might impede them from alarms and warnings from a potential threat of a fall or head injury which is seconded by the strength and endurance difficulties. If your elders are struggling with medications and other symptoms of diabetes, get help today! Call Bradford Place, a responsible assisted living facility in Benchmark Court Swansea IL, for more information and assistance! This entry was posted in health care, home care and tagged health care, home care, respite program. Bookmark the permalink.